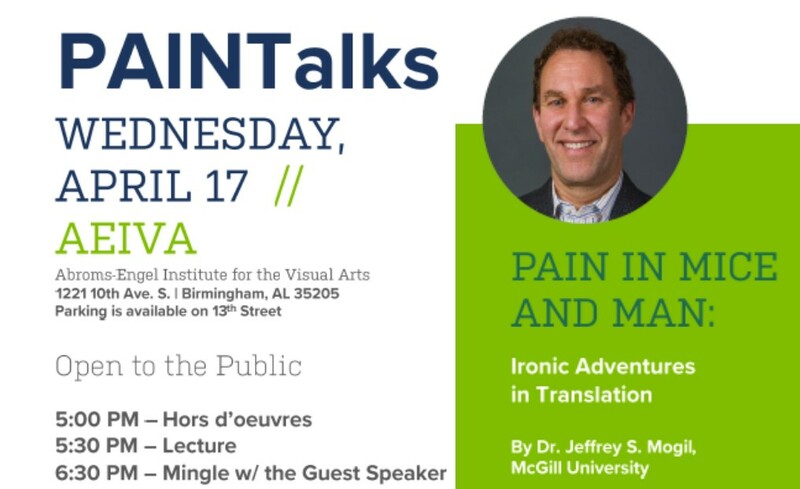 The PAIN Collective in the Department of Psychology at UAB is pleased to present a public lecture by internationally known pain researcher Dr. Jeffrey Mogil (McGIll University, Montreal) at the Abroms-Engel Institute for the Visual Arts on April 17th. His lecture is entitled “Pain in Mice and Men: Ironic Adventures in Translation.” Doors open at 5 PM with the lecture at 5:30 PM. The event is free to the public.